There’s one major difference between The Force Awakens book adaptation and The Last Jedi’s. The former was based on earlier versions of the script that changed and also hinted at a few intriguing things the movie didn’t. The Last Jedi’s novelization, by Jason Fry, is unique because it’s the first of these novelizations that has been released long after the launch of the film. What that means is, not only is the book based on what we actually saw in theaters (rather than an earlier draft), but to keep it relevant, it’s also been expanded with input from The Last Jedi director Rian Johnson—adding, clarifying, and enhancing several important moments in the film’s story. Here’s some of the most intriguing new elements it brings to The Last Jedi. A young farmboy takes his first steps into a larger world. The opening prologue for the novelization stirred much confusion when it first leaked for purportedly revealing Luke Skywalker’s wife... which, it does, but not in the fandom-mind-blowing way you’d expect. It’s set in an alternate world where Luke never left Tatooine, and the Imperials seized C-3PO and R2-D2 from the Lars homestead. While Luke stayed on the planet and eventually married Cammie (a friend previously seen in footage cut from A New Hope early on), the Empire hunted down the Rebellion and destroyed it. Several worlds beyond Alderaan are eradicated by the Death Star, and Leia is publicly executed for treason. While this alternate Luke has a happy, quiet life under the Empire’s thumb, he does have one regret: not having children. Our glimpse into this alternate reality ends there and returns to Luke in the normal Star Wars universe. But the most interesting thing about it is that it isn’t actually a dream—it’s a vision from the Force, sent to haunt Luke about his inaction after cutting himself off from the living Force. He notes these visions have started to become more persistent, as if heralding the arrival of something (or someone) in his life. Han, in older, more lively times in The Force Awakens. The much-heralded addition of a moment to grieve Han Solo’s sacrifice is actually fairly minor in the grand scheme of things. But in the novel, it primarily serves, understandably, as a moment for Leia. On the inside, she is still wracked with grief by Han’s death, but the practicality of having to prepare the Resistance for evacuation and an impending battle with the full might of the First Order leaves her more annoyed with having to speak to the gathered Resistance staff to mark Han’s passing—the sort of event, she notes, Han would’ve despised—than really giving herself a chance to grieve publicly. After a brief speech, Leia marks Han’s “burial” with a small wooden carving he made and gave her during the aftermath of the battle of Endor. Something bad is about to happen to the Raddus, and Leia knows it. But how? THE FORCE, THAT’S HOW, GOD HOW MANY TIMES, PEOPLE. One of the more weirdly controversial elements of The Last Jedi ended up being Leia’s relationship with the Force—and how she ended up having to use it to save herself from a horrifying death with a display of power never seen from the character before. While there have been plenty of gripes about just how the daughter of Anakin Skywalker was able to suddenly call on the Force in a moment of extreme physical trauma, the novel paints Leia as much in tune with her Force abilities—further driving home the fact that just because she’s not a Jedi doesn’t mean she can’t use the Force. 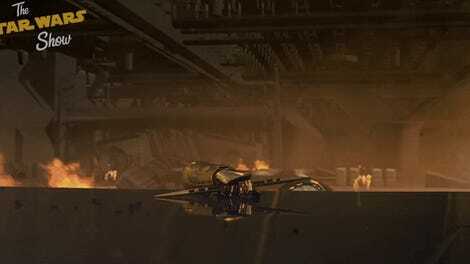 A quiet moment added as the Resistance fleet makes its first jump away from D’Qar sees Leia quietly reach out into the Force to check on the mood of the haggard Resistance soldiers, as well as try in vain to see if she can feel Luke’s presence somewhere. It’s an empathic level of Force use that’s surprisingly powerful—she can feel emotions on planets as they soar past the fleet in Hyperspace—and in line with her ability to have felt Han’s death in The Force Awakens, or her brief connection with Kylo when he attacks the Raddus later on in the movie. The Force has awoken, and it’s... ticklish? The Force, in general, gets some fascinating explorations in this novel, albeit in small moments. The most interesting of all comes when Luke finally decides to reconnect himself to the Force. In Luke’s mind, he sees two different versions of it: the Living Force, the spiritual energy that binds all living things together as explained to him by Yoda in Empire Strikes Back, and then the Cosmic Force. Rey closes the door for good—literally and mentally—on Kylo Ren. Rey and Kylo Ren’s connection, both spiritually and emotionally, serves as one of the most intriguing aspects of the book’s expansions. At one point it implies Rey can tap into Kylo’s own expertise at using the Force to further understand her own abilities. However, the connection is primarily used to explore the two on an emotional level, specifically Kylo’s swirling sea of emotions when it comes to Rey. There’s a moment before he brings her to Snoke aboard the Supremacy where Rey can sense that conflict within Kylo, which doesn’t just revolve around the pull between the Light and Dark within him, but his growing, complicated feelings for her as well. Don’t get too excited, though, Reylo fans: the book also makes it explicitly clear Rey is pretty much done with Kylo after their duel with the Praetorian Guards. While escaping the Supremacy, a new moment with Rey reveals that she contemplated killing Kylo while he was still unconscious in the wake of Holdo’s hyperspeed attack but chose against it, not out of a belief that he could still be redeemed, but because she felt the will of the Force wanted him to survive the day. If you didn’t get the hint then, you do when the book recounts their final moment “together” on Crait as Rey and what remains of the Resistance flee the planet. Rey unmistakably severs their connection and makes it clear she no longer feels any compassion (or even hatred) for Kylo. Snoke is all smiles before, you know, the whole bisection thing. Just like the final film, the novelization doesn’t offer a Wookieepedia page’s worth of backstory for the now-fallen leader of the First Order. But it does give us a few snippets that both paradoxically make Snoke feel hugely important but also someone who wasn’t really worth all the speculation. First, the interesting things. Snoke’s mastery of not just the Force, but mystical elements of it—the “Truth” of the Force, as it’s described—hidden in the Unknown Regions of the galaxy, are what made him vital to the Imperial Remnant after it fled there and encountered vaguely-described challenges to keeping itself a secret from the rest of the galaxy after the end of its war with the New Republic. 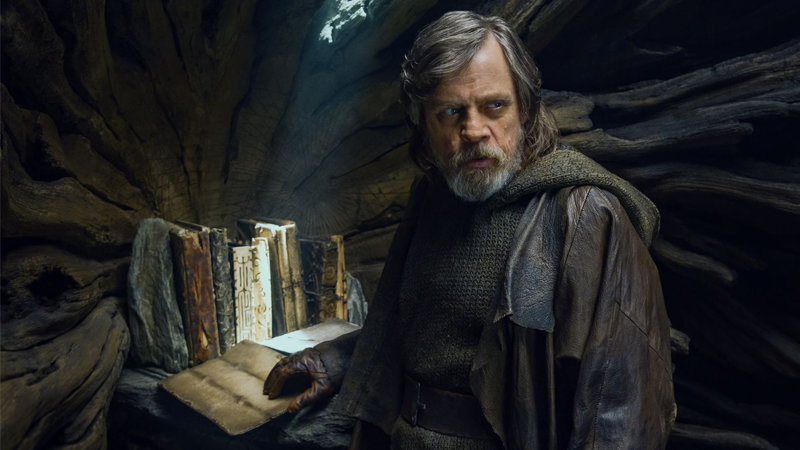 The novel also notes that Luke and Snoke were aware of each other through the Force, and Luke was going out into the galaxy after Return of the Jedi to locate ancient Jedi artifacts. There’s even the implication from Snoke that he pushed Luke through the Force to become a teacher—not just to train Ben Solo, but to establish the new Jedi Academy, as Snoke knew full well that Ben’s internal conflict and Luke’s own hesitance to teach would always end in a tragedy that would take Snoke’s greatest rival off the galactic chessboard. But despite all that, the novel also sees Snoke readily admit that he was never meant to lead the First Order to prominence. His emergence in its earliest days is apparently more down to happenstance than some grand design, and he was simply in the right place to help the Empire at the right time, rising over the Imperial officers who had come to the Unknown Regions in the first place. Leia keeping an eye on the comments for fans whining about Mary Poppins. When Carrie Fisher tragically passed away in December 2016, The Last Jedi was left unchanged, leaving questions as to what will come of the Princess and General the Star Wars galaxy and our own loves so dearly in Episode IX. But one of the benefits of the novelization coming out so much later is that it gets to give Leia a quiet, yet touching sendoff. The final scenes on the Millennium Falcon after the remnants of the Resistance are whisked away now include a more private scene with Leia and Chewbacca in the ship’s cockpit, as Leia has the unenviable task of telling Chewie that another of his oldest friends is gone. It is a moment when finally, without the need for a public face or without the pressure to internalize her grief and press on, Leia stops and openly grieves, embracing Chewbacca as she mourns for Han, Luke, Ben, and the countless others they’ve lost. Her final words to the Wookiee are like a dagger through the heart—“It’s just us now.”—because we know that Chewie will soon lose a third friend. Leia carries a lot of the emotional weight in this novelization, so it’s fitting that her arc is the one that closes the book in such a heart-wrenching way. The final moments of Luke Skywalker, Jedi Master. The novelization does add one more epilogue between the final scene on the Falcon and the stableboy on Canto Bight, told from the perspective of one of the Lanai caretakers on Ahch-To after Luke’s sacrifice. The Lanai recounts the strange and varied visitors to the planet she’s seen over the years, as the caretakers go through the objects left behind by their latest guest, storing them alongside force-attuned artifacts they’ve collected and safeguarded for years. A few items are specifically mentioned, like the compass Luke used to find Ahch-To in the first place (first seen in the story mode for Star Wars: Battlefront II), but one is left nebulous: Luke’s “weapon.” Is this the staff Luke carries n The Last Jedi, or is it the green lightsaber he wielded in Return of the Jedi? Who knows, but it could end up being as important to Star Wars’ future as the now-destroyed Skywalker family blade was.